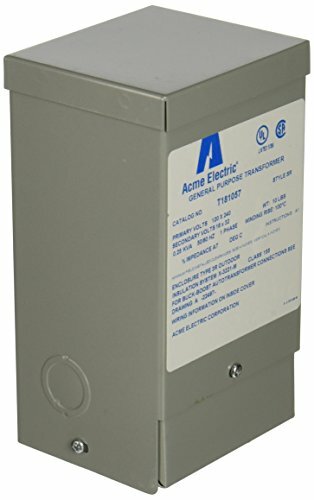 Acme T181057, 0.25 kVA Busk-Boost Transformer, 120 X 240 Primary Volts - 16/32 Secondary Volts. Electrical and electronic equipment is designed to operate on standard supply voltage When the supply voltage is constantly too high or too low, (usually more then 55%), the equipment fails to operate at maximum efficiency A buck and boost transformer is a simple and economical means of correcting this off-standard . If you have any questions about this product by Hubbell Acme Electric, contact us by completing and submitting the form below. If you are looking for a specif part number, please include it with your message.